In episode 53, we spoke with Sean Foley about Syria and the historic forces at work in the Syrian Civil War. A lot has changed since we first spoke with Sean in April of 2017, so we asked him to come back to catch us up on the Syrian Civil War, where Isis, Assad and other players currently stand, and the implications of Donald Trump’s sudden reversal on American intervention in the conflict. 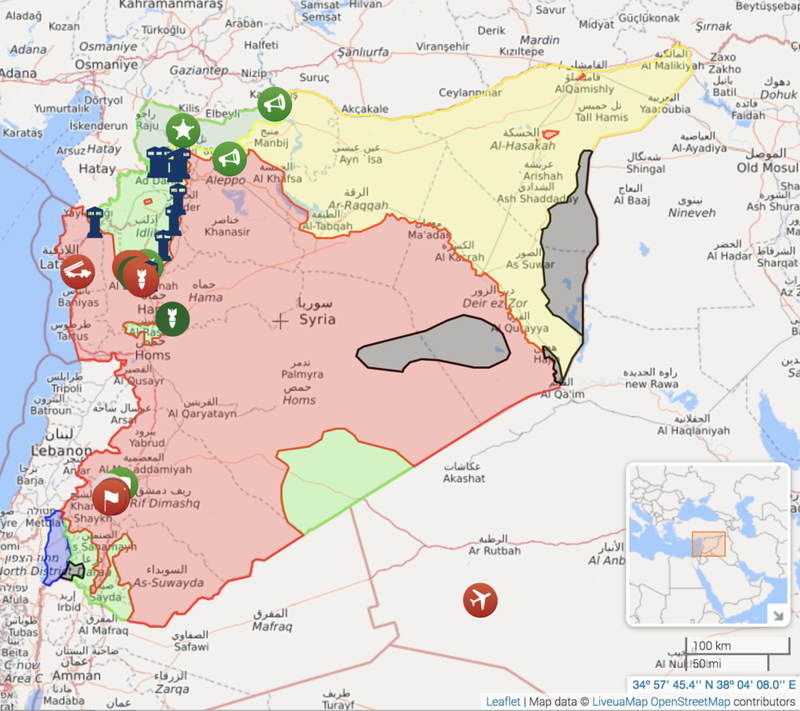 The live map of Syria that Sean mentions in this episode can be found at https://syria.liveuamap.com/. This image is a copy of the map as of April 26, 2018 at 10:20pm EST. Click here to visit the episode page for our first discussion with Sean Foley, which gives an in-depth history of Syria and the Middle East. Dr. Sean Foley specializes in the contemporary history and politics of the Middle East and the wider Islamic world. He frequently visits Asia and the Middle East, follows events in both regions closely, and speaks Arabic and Bahasa Malaysian. He has published widely and has delivered public presentations to audiences around the world. He has also held Fulbright fellowships in Syria, Turkey, and Malaysia. From April 2013 until January 2014, he lived and traveled extensively in Saudi Arabia. You can learn more about Dr. Foley on his personal website and his MTSU profile page.